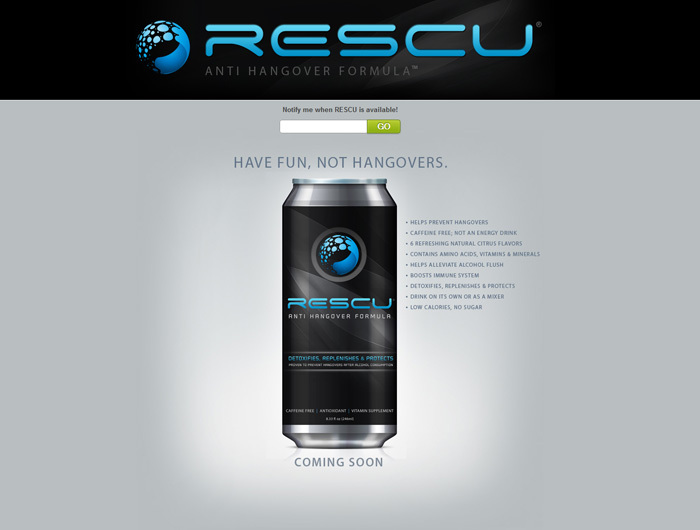 RESCU is a unique Anti-Hangover Formula that is scientifically proven to help prevent hangovers after alcohol consumption. RESCU is a lightly carbonated, non-alcoholic beverage that replenishes key nutrients & jumpstarts your body’s natural detox process. RESCU’s exceptional blend of amino acids, antioxidants and vitamins help boost your body’s natural defenses and immune system.